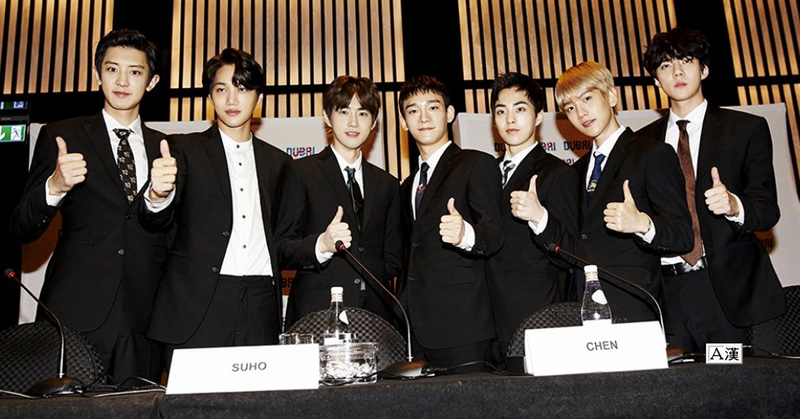 EXO became the first K-pop star to have their very own medal minted by Korea Minting, Security Printing & ID Card Operating Corp (KOMSCO), a South Korean government organization responsible for printing and minting banknotes, coins, and other government documents. An official at KOMSCO announced back in March that they will be "minting an official commemorative medal for EXO, who is the top boy band in Korea and in the center of Hallyu." The government-owned corporation will be receiving advance orders for EXO's commemorative medals starting April 23 on the South Korean online shopping mall '11 STREET.' The medals will be available in regular and special package versions, both of which will be made in pure silver. The 'special' medals are produced in the limited quantity of 5,000 medals and 100 sets. In order to prevent the medals from being counterfeited, hologram marks and anti-duplication stickers will be applied to all of the products.